If there’s one person who is qualified to answer questions about teeth, gums, and oral health, it’s a dentist. Open communication is one of the best ways to help patients enjoy their dental appointment and reach their oral health goals. 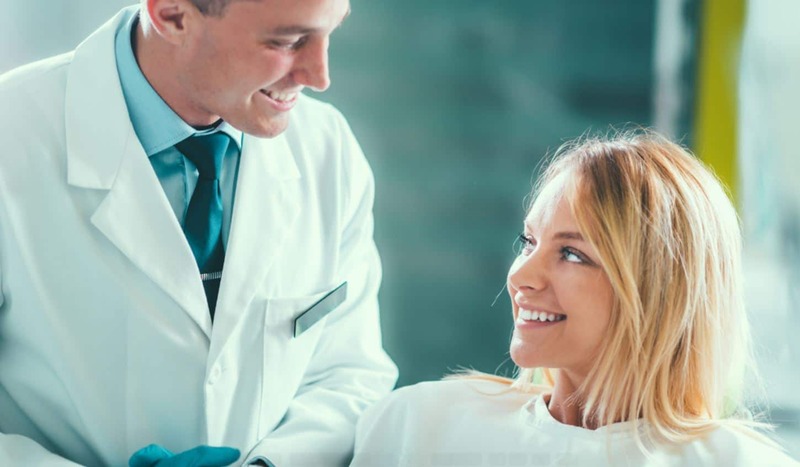 Even though we welcome all questions related to dentistry, the following are some of the most common questions our patients ask when they’re here for a preventative visit. Feel free to ask these questions or bring a list of specific concerns to your next dental appointment. Question: How does my mouth look? Your teeth and gums might feel healthy, but it’s vital to have your oral health evaluated twice a year during your bi-annual preventative visit. When we see you on a regular schedule, we monitor impending dental and periodontal issues and let you know when we notice things improve or worsen. We keep close tabs on changes, improvements, and the overall status of your oral health. Question: Is there anything I can do in between visits to keep my teeth and gums healthier? Most of our patients understand the importance of proper brushing and flossing every day. But there are also other ways to maintain and improve your oral health. For example, the specific products you use to clean your teeth, the food and beverages you consume, and your smoking habits all affect your oral health. During your appointment, we discuss these issues with you and provide practical advice. Question: What can I do to make my teeth appear whiter and brighter? Bright and sparkling teeth improve your appearance. We offer highly effective in-office teeth whitening treatments. We also provide guidance on whitening products to use at home at your convenience. This is a question that many of our patients ask every time they’re in the office for a regular dental appointment. Question: Can I wait to have a chipped or broken tooth repaired? Even though not every patient asks this every time they visit for a dental appointment, it’s still a common question. If you have a chipped or broken tooth, or you lost all or part of a filling, it’s important to let us evaluate the problem as quickly as possible. We typically advise patients to have chips or breaks repaired as soon as possible to avoid more expensive and extensive dental work later. Question: What is the purpose of visiting twice a year for a dental exam? To maintain your oral health and ensure dental health issues are discovered and treated as early as possible, it’s important to schedule a preventative visit twice a year. This is true for anyone, regardless of the condition of your teeth and gums. In some circumstances, we recommend more frequent visits. We discuss this with patients on an individual and as-needed basis. Question: Why are my teeth so sensitive? Tooth sensitivity is a common problem. Depending on the root of the problem, there are several potential remedies. We recommend treatment based on the source of the issue. Please give us an update on your sensitivity every time you’re here. We want to know if you’re experiencing improvements in between your dental appointments. Please do not hesitate to ask questions! We also welcome you to call the office or submit a question via the Contact Us form on our website. Washington Court House Dental provides exceptional clinical care and outstanding customer service. We are passionate about dentistry and addressing your concerns. Proudly serving Washington Court House, Jeffersonville, Hillsboro, Wilmington, London, Mount Sterling, Xenia, Greenfield, Circleville, Chillicothe, Leesburg and surrounding areas.